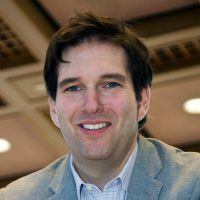 Professor Ezra Goldschlager teaches Torts, Criminal Law and Introduction to Legal Skills. As Director of Program Review, he manages the assessment and improvement of the College of Law’s program of legal education. Professor Goldschlager is the College of Law representative on the University Faculty Senate and serves on the Senate Executive Committee. He was the founding faculty advisor of the La Verne Law chapter of the Animal Legal Defense Fund. His scholarly interests include the pedagogy of law and legal practice. Before joining the La Verne Law faculty in 2013, Professor Goldschlager served as a law clerk to the Honorable Jerome A. Holmes of the United States Court of Appeals for the Tenth Circuit. The SEC Framework for Analysis of Digital Assets: Explanation and Five General Takeaways, Medium, 2019. Non-binding SEC staff guidance should be taken seriously in the crypto realm, Medium, 2019. Don’t Call it Assessment – Focusing on “Assessment” is Alienating and Limiting, L. School Assessment Blog (Nov. 8, 2018). Net Neutrality and the US Constitution, Daily Journal, Oct. 15, 2018, with Charles S. Doskow. No, Government Doesn’t Need a Blockchain for Everything, Medium, 2017. Why the IRS Should Classify Bitcoin as a Currency, Medium, 2017. The Cryptocurrency Tax Fairness Act is a step in the right direction, Medium, 2017. Attention Lawmakers: These are the Most Important Features of Digital Currencies, Medium, 2017. When Regulating Digital Currencies, Motivation Matters, Medium, 2017. Praise and the Law, 49 Creighton Rev. 353, 2016. “Teaching Legal Writing to the Growth Mindset,” Rocky Mountain Legal Writing Conference, University of Nevada, Las Vegas William S. Boyd School of Law, March 2019. Real-Time Formative Assessment in the Law School Classroom: Informing Students and Teachers with Smartphone-Based Polling,” University of La Verne College of Law, September 2018. “True Learning Model: A Learning-Centered Approach to Legal Education,” with Sammy Elzarka, Diane Klein and Kevin Marshall, 2017 Assessment Institute, Indianapolis, Indiana, October 2017. “Building Classroom Community and Engagement with the Team Communication Platform Slack,” Southeastern Association of Law Schools Conference, Boca Raton, Florida, August 2017. “Teaching the Value of Collaboration,” Rocky Mountain Legal Writing Conference, University of Arizona James E. Rogers College of Law, March 2016. “Personal Privacy in the Shadow of CISA,” for the American Constitution Society, University of La Verne College of Law, November 2015. “Zero-Stakes Competitions and Classroom Engagement,” Western Regional Legal Writing Conference, Loyola Law School, August 2015. “Engaging the Entire Student,” University of La Verne College of Law, April 2015. “A Complete Integration of Doctrine and Skills: Early Experiences with a New Curriculum,” Rocky Mountain Legal Writing Conference, University of New Mexico School of Law, March 2015. University of La Verne, 2018 – Pres.